Since Darth Vader threw his helmet into the ring for Ukraine's presidential elections, representing the country's "Internet Party," the Sith Lord has been out campaigning. 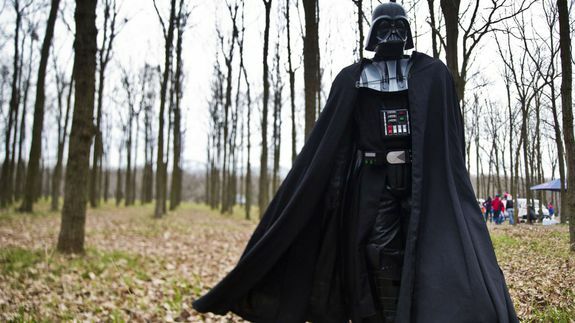 Vader was originally Viktor Shevchenko, but changed his name in March to run for the presidency on behalf of the Internet Party of Ukraine (UIP). Vader's hometown is Odessa, Ukraine's third-largest city and a major seaport.